The OS Services Booking developer team are proud to announce the release of OS Services Booking 2.7.3. This is a fourth release for the 2.7.x series of OS Services Booking and addresses issues introduced in previous versions. In previous versions, emails in OS Services Booking like Confirmation message, Booking Reminder ..etc will be sent when events are called. But from this version, you can decide to send those emails or not by publishing or unpublishing those email templates through tool: Manage email templates at Back-end of OS Services Booking. - Export all orders to CSV. If you just want to show some dates in Booking form and customers will select on those dates to make booking. You will need to use this feature. This is new parameter of menu layout: OS Services Booking - Default Layout -> Tab: Other Setting. You will see field: Enter select dates. The Steps in minutes now has maximum value up to 480 minutes. 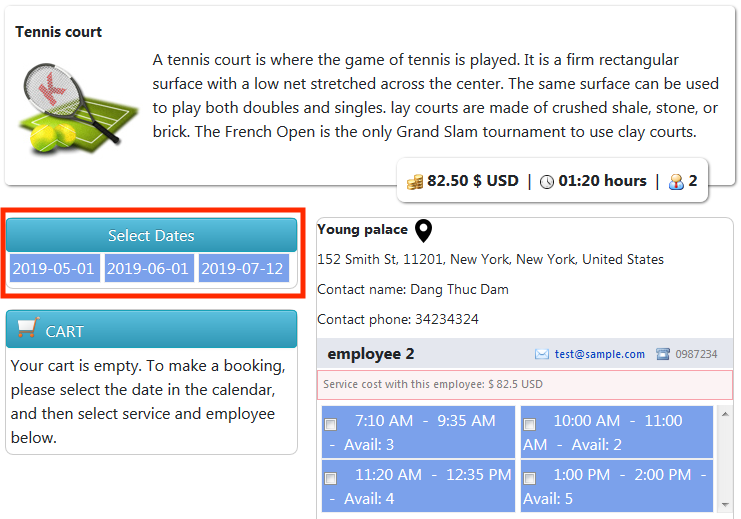 This is small issue in previous OS Services Booking versions, the timeslots are still available, but you will see error when adding those timeslots into cart. This is the issue in previous versions, you can't remove category's picture. This issue happened when you open Term and Condition article in Checkout form. Last edit: 2 months 1 week ago by Mr. Dam.